As you may or may not know, Drake’s 30th birthday is tomorrow and to celebrate with his fans, he moved yesterday’s scheduled OVO Sound Radio episode to tonight and announced it as the special birthday edition with himself as a DJ. The episode is already huge as the More Life album for December has been announced but of course, we have some new music. The first of a total of four exclusives is ‘Two Birds One Stone’ which will feature on the forthcoming project. It’s the kind of Drake we love the most. Take a listen to our rip below. Yep, he’s rapping and he’s firing some shots at Kid Cudi (lyrics posted below). Also make sure you check out ‘Wanna Know’ (Remix), ‘Sneakin‘ with 21 Savage and ‘Fake Love‘! UPDATE: Audio removed on request. 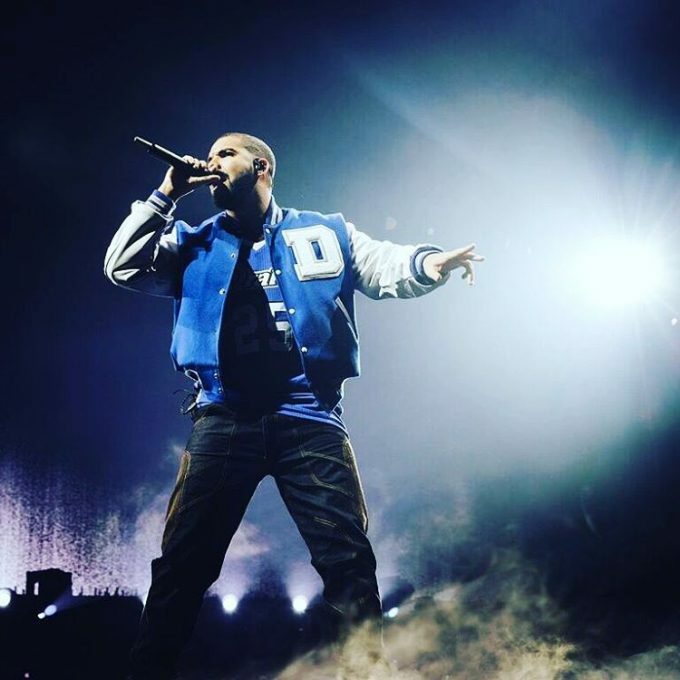 Apple users can listen to entire OVO Sound Radio Ep. 32 on this link. 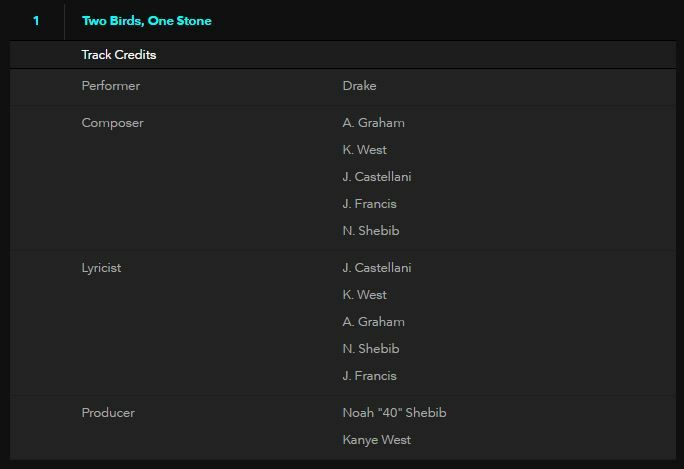 UPDATE 2: Tidal‘s stream has all the credits to the song listed which reveals something interesting: Kanye West has been credited both as a co-writer and co-producer on it. Although producers usually get writer credits on the song automatically, it is still a big deal. This is a song which disses Kid Cudi and has already stirred up a fresh beef between him and Drake. UPDATE 3: The song is finally available in CDQ and explicit quality on iTunes/Apple Music. It also lists Kanye as a “composer” in the credits.